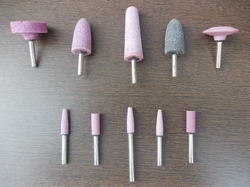 We are leading traders of various types of grinding mills, abrasive and polishing machinery. We also supply a range of engineering products including grinding wheels, flap wheels, cloth wheels and abrasive rolls. Coretech Engineering is a well-established organization known for trading top quality engineering products from leading manufacturers. We enjoy an impeccable reputation in the market for the quality of our products and our outstanding customer service.